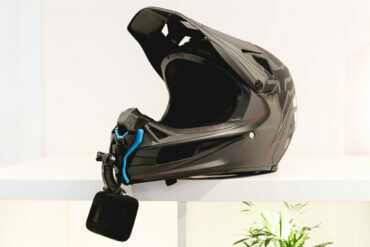 There are more and more items appearing that are aimed at specifically at the ebiker. I took a trawl through what was available and came up with a Christmas shopping list. 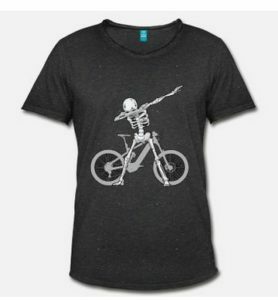 A dabbing skeleton in front of an ebike – SOLD. My brother bought a similar t-shirt for my birthday but unfortunately got me a 3XL. I’m not sure if he was having a laugh or just hasn’t seen me for a while, but it’s a tent on me, and I’m not small. Great website where you can choose your designs and the customise it by adding you own text or twist. Designed to withstand loads exerted by ebikes this chain comes coated with something called EcoProTeQ. Apparently, it is an electro plating treatment of the steel which makes it incredibly tough. 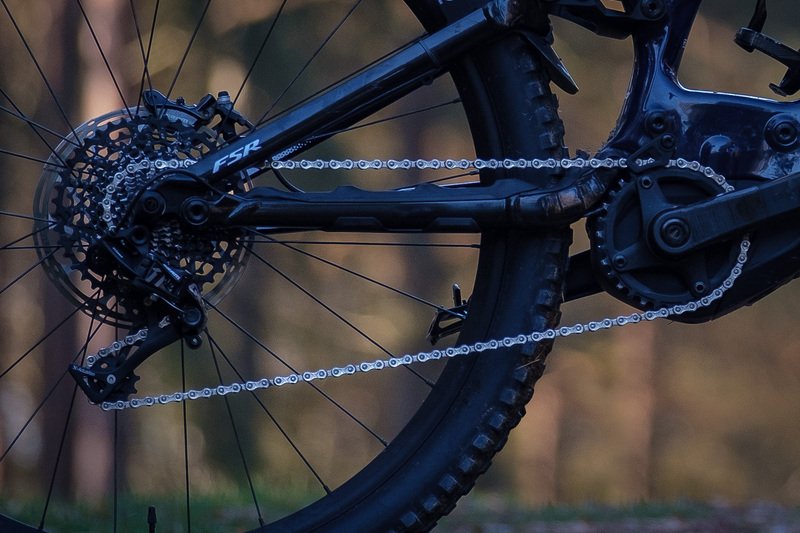 The chain is claimed to give over 10,000km of use, but this is in conjunction with a KMC chainring. Wow! 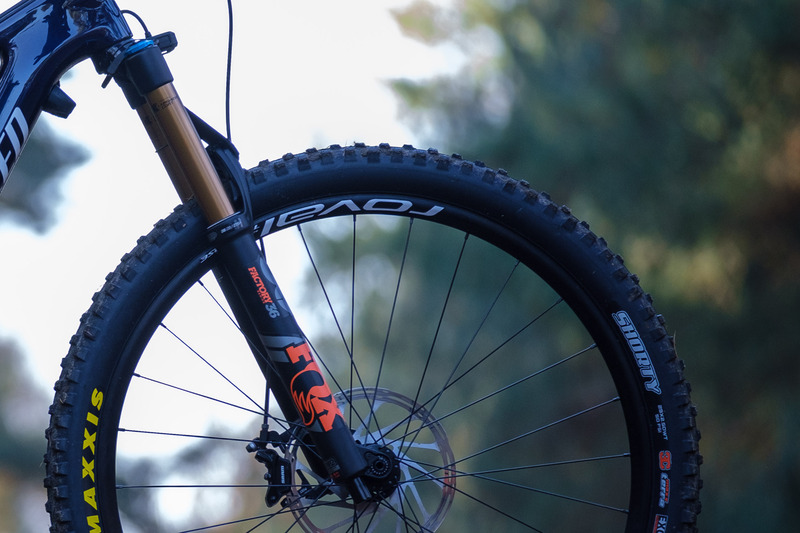 I have the standard 36 forks on my bike and they are great. 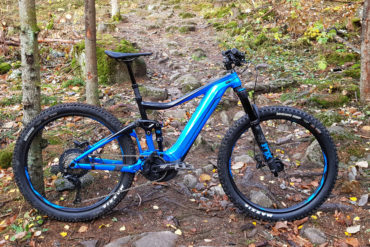 These look the same and have 160mm travel but are specifically designed to handle ebike seated riding, steeper climbing and going uphill faster. It would be a costly upgrade for me just to add the ‘e’ but I sure would like to test them. This cover is for in-tube batteries, but they also do covers for other versions. 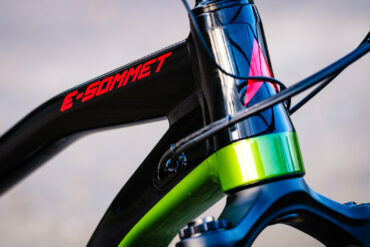 It is made of neoprene and wraps around the downtube. It would definitely protect the frame, but I would be interested to know if it kept the battery warm in cold conditions. Riding last year in the snow and ice it was clear that the cold weather reduces the range on your ebike battery. If only they did one that resembled a Christmas Jumper. 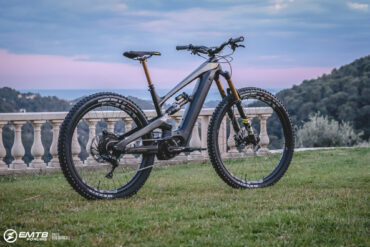 Not sure how exactly these are ebike specific as claimed by Reverse, but their grips do get good reviews. 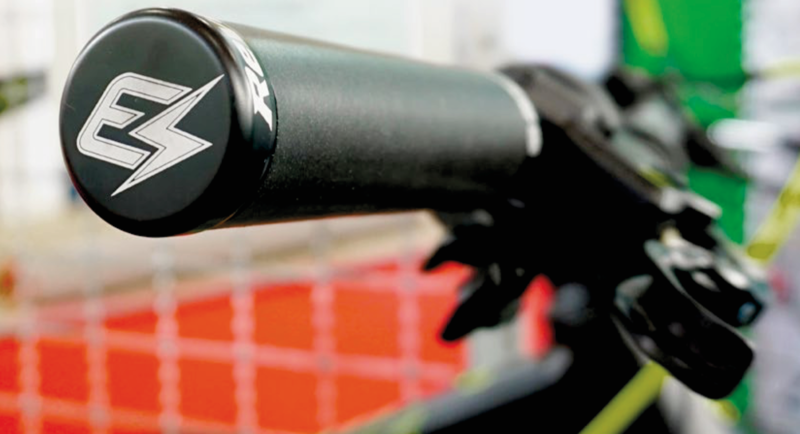 The silicon grip is designed for longer rides and bigger adventures and has aluminium end caps in case the bike is dropped to the ground. That sounds like they think ebikers are clumsy. Maybe they have a point. Reverse also do ebike specific pedals and brake pads. You can never have too many watches and this would be a great addition. A GPS watch that can display colour OS maps. 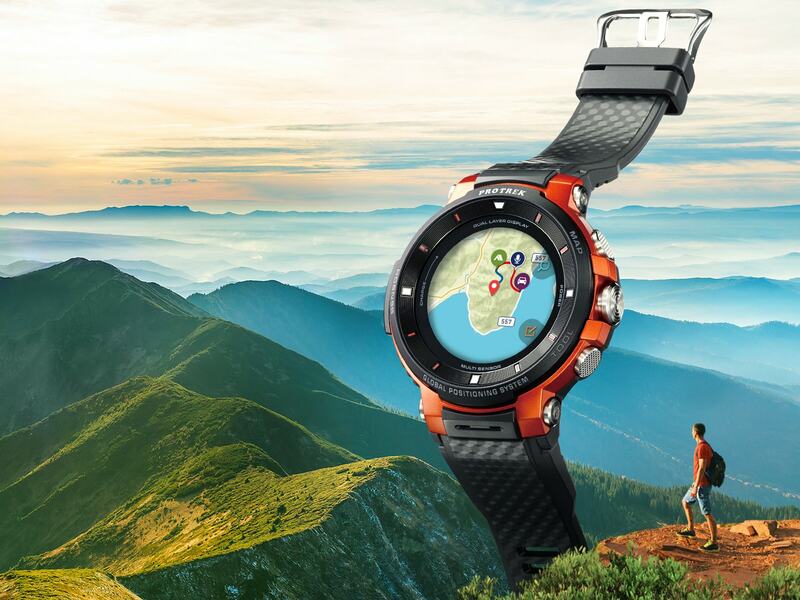 It is compatible with ViewRanger has a touchscreen, is waterproof and sensors include – air pressure, accelerometer, gyrometer and compass. Battery life when using the GPS is 1.5 days, so the bike would definitely run out of juice first. New model F30 due out in January. 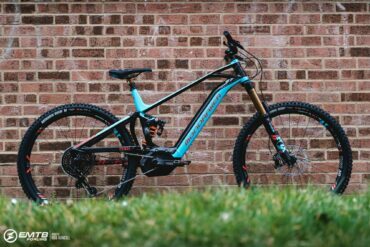 Whilst not strictly ebike specific these are following the technology trend in cycling. They overlay AR data onto your view, record video and take photos, connect to your phone so you can take calls and have built in speakers to play your fav playlist. Just imagine if they could connect with the data coming from your ebike. Now that would be good. These are not sponsored links just my personal wish-list concerning eMTBs. 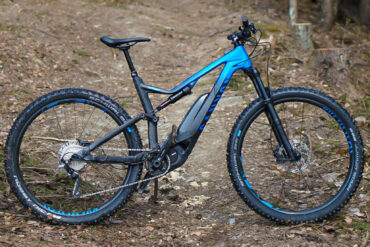 The range of ‘e’ specific components is on the rise; tyres, saddles, backpacks, wheels, locks and clothes. The latter I did find amusing. 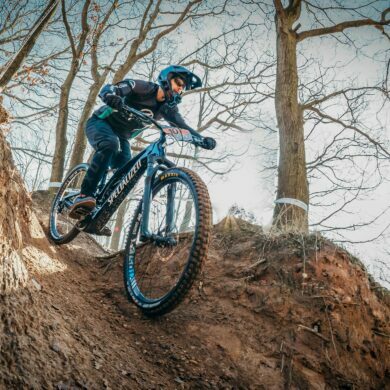 Pure Electric are an Italian clothing brand that offer e-bike specific clothes. 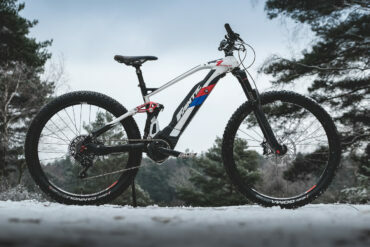 They look good, but I couldn’t help noticing that they had a manual bike as the main picture on their website!